In a lifetime nothing sticks with you as the places you visit and things you see. It is a treasure that can be measured. The wonderful architecture you see, the warmness of the people, the new and unknown culture, something to take with you wherever you go. If you are always wondering about which country to explore and nation to experience, here is a country to consider-Virginia, USA. Here in the following list you can read and get to know about all the interesting places that are worth visiting. Virginia besides the rich history is known for its sandy beaches, wonderful parks, stunning palaces, and many more amazing places to just walk around. Be prepared to walk in directly into the 18th-century when you find yourself surrounded by setting known for the American Revolution period and replicated buildings from that time. 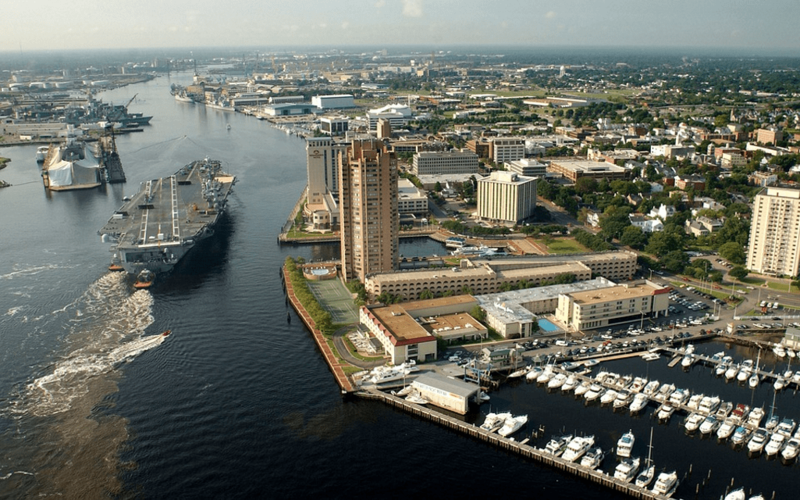 You will most likely feel meaningful knowing you are walking the same streets as Thomas Jefferson that you can stand in the same place where Patrick Henry gave his stunning speech, and eat crab cakes in the same restaurant where George Washington ate seafood. It was indeed the capital of Virginia from 1705 and through the entire Revolution. 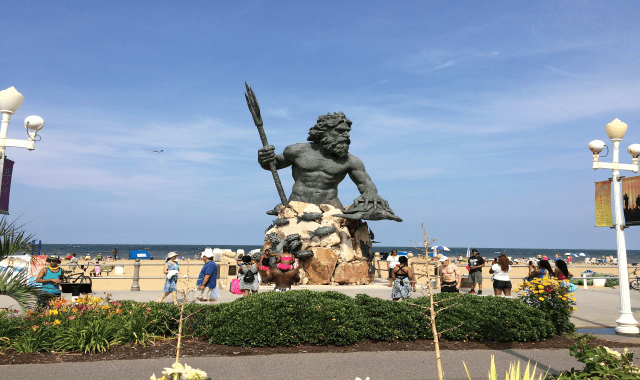 It is an independent and one of the biggest cities in the USA with a super popular and crowded beach with golden sand that stretches from the east of Norfolk. People all over the world are coming here to spend their vacation hence of the popular restaurants, number of hotels, and resorts. If you are looking something for your children, you can take them to the Marine Science Museum, in the Ocean Breeze Water Park, Back Bay National Wildlife Refuge, or in the Atlantic Wildfowl Heritage Museum. 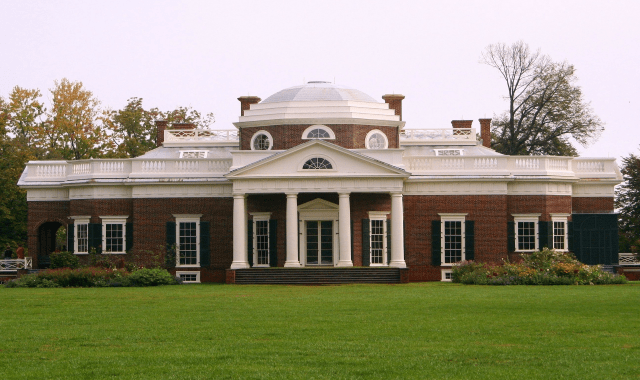 Monticello is one of the most visited presidential homes ever designed by the Thomas Jefferson himself according to a villa just outside Vicenza, Italy. Over a long 40-year period he was constantly making changes until he considered it the perfect country house. The 5,000-acre plantation is also “the home” to extensive historic gardens, and intriguing outdoor exhibit named Landscape of Slavery: Mulberry Row at Monticello. 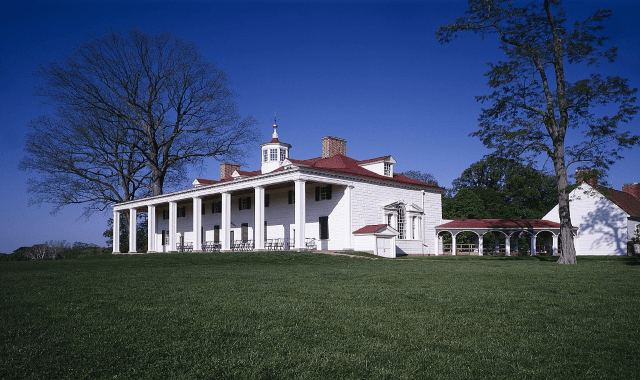 Mount Vernon was a home to George Washington from 1754 until 1799 until his death. George was meticulously overlooking every single detail around the renovation, including the design and construction together with the interior design into the gracious and spacious 21-room plantation house. You will be speechless when you see the house surroundings, the breathtaking gardens with dazzling views of the Potomac River. Other than the president`s residency houses you can also see stunning nature. 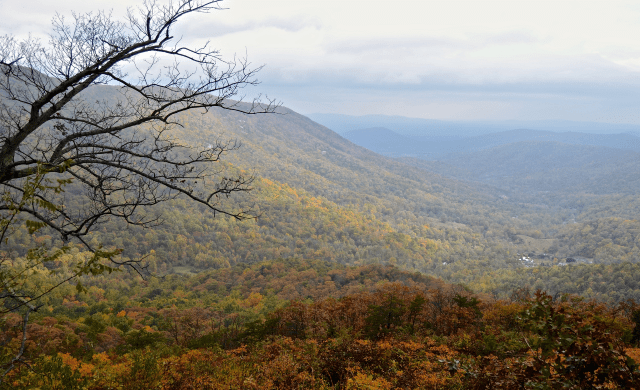 Buckle up and head out for a long drive with your loved ones on the roads within the Shenandoah National Park. All along the crest of the Blue Ridge Mountains is the Skyline Drive that will offer you spectacular viewpoints and attractions. The millions of shades of yellow, golden, and burning orange in autumn will be a memorable experience. Don’t forget to visit the Luray Caverns that contain magnificent almost out-of-this-world stalactites and stalagmites that won`t fail to impress you. Sad but impressive the town of Arlington is known for the cemetery to the United States Military. Each and every year it is visited by as much as four millions of visitors. Graves of some of the most famous people such as President John F. Kennedy are scattered across six hundred acres. Unusual yet interesting, in the middle of the USA, you can find a Europe-themed entertaining park. It is a spectacular and one of a kind blend Germany, Scotland, and Italy. You can feel the Bavarian vibe by a traditional Bavarian band and dirndl-costumed dancers. You can spend quality time with your children riding one of the many Alps, Loch Ness Monster, or Pompeii-themed roller coasters or you can choose to spend much more quitter time among Scotland resembling parts. These two islands are known mainly because of being a natural habitat for ponies. 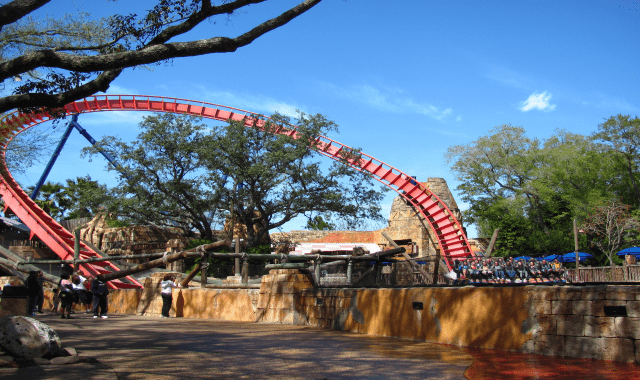 They are wild and untamed and are attracting more than a million visitors each year. Other than the ponies, here you can find one of the most beautiful sandy beaches on the entire Atlantic Coast. You will be amazed by the diverse activities that can be done such as collecting seashells, kayak, fishing or crabbing, swimming in the crystal clear waters, or taking a hike. The name itself says it all, but nevertheless, be prepared to witness one of the oldest tourist attractions that during the 18th and 19th centuries ranked as high as the Niagara Falls. This Natural Bridge was formed when the cavern which through the Cedar Creek flowed collapsed. 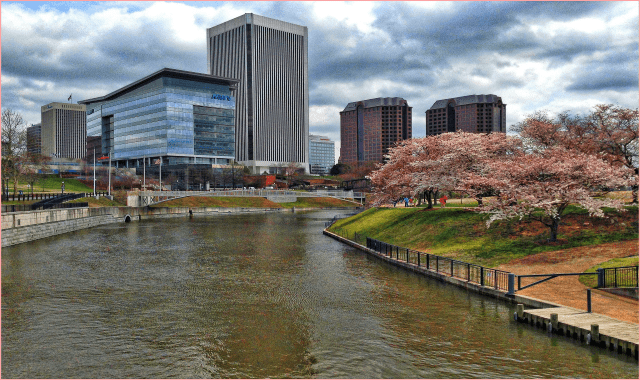 When visiting Richmond and you are tired of all the history linked museums and architecture, don`t forget to take some time off by visiting downtown Richmond. Here you can walk along the Kanawha canal long approximately 1, 25 miles with stunning monuments and exhibits along the way. Not just this list but rather Virginia, USA sounds like a blend of meaningful historical events and architecture together with breathtaking nature and National Parks. So don’t even doubt, pack your bags and prepare for the adventure of a lifetime, the only thing you need to take care of are the documents. So you are wondering, ESTA or VISA? First things first you need to check if your country is in the Visa Waiver Program, meaning that if your county is, you can travel to the USA up until 90 days without obtaining a VISA. The only thing you need to do is apply to get you ESTA (Electronic System for Travel Authorization) validation in order to see whether or not you are eligible to travel in the United States. The second way is, if your country is not included in the Visa Waiver Program, the only way to visit Virginia is to apply for a VISA.